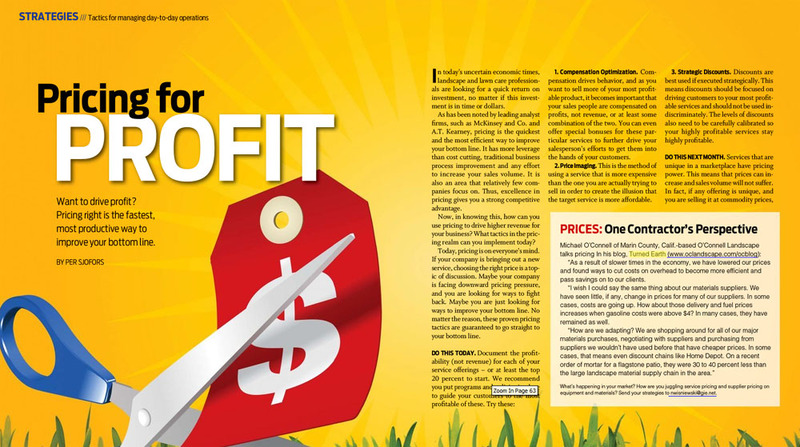 Our post on our pricing and the pricing of our vendors was referenced in a story in this month’s Lawn and Landscape magazine. Just goes to show that these type of pricing issues are critical to being profitable in a difficult economy. In other blog related items, we just rebuilt our blog, combining an older platform of the blog with a new rebuilt interface. This means that over 350 posts from 4 years of Turned Earth can be found in one place and searched. Enjoy!